"Today, Azerbaijan is one of the strongest countries in terms of army building. 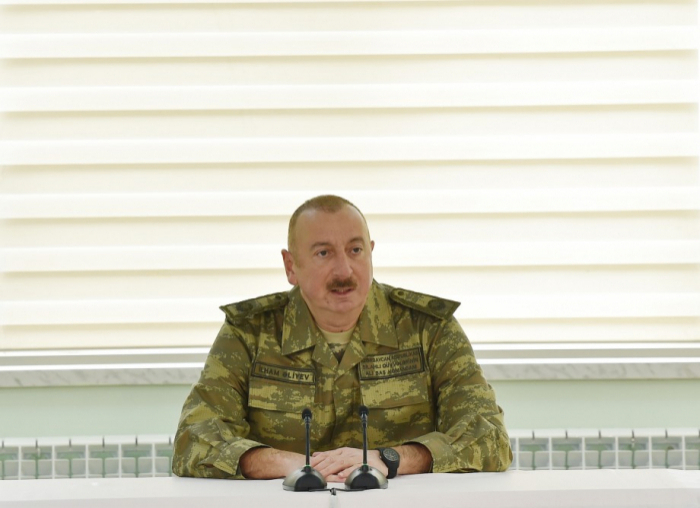 The latest rating tables show that the Azerbaijani Army is on the 52nd place in terms of its global presence", President of the Republic of Azerbaijan, Commander-in-Chief Ilham Aliyev said during his visit to a military unit of the Special Forces of the Defense Ministry, on April 2., AzVision.az reports. The two military parades held last year demonstrated Azerbaijan's military power. The most modern weapons are being purchased for our armyand our army's combat capability is growing. April fights are a clear example of this. The successful Nakhchivan operation was conducted last year. As a result of this operation, we have had strategic heights. These altitudes allow us to control the larger area. The successful Nakhchivan operation has once again demonstrated that our army is professional, and our army's combat capability is at a high level. " Today, every citizen of our country is rightly proud of the Azerbaijani Army. We are proud of our soldiers and officers. The Azerbaijani Army is a key factor in the protection of the territorial integrity of our state", President Ilham Aliyev said.